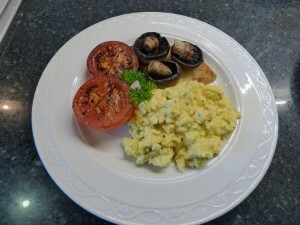 The Real Food Bed and Breakfast, locally sourced, sustainable, west coast, fresh produce. Why is food so important to us? Well, other than the obvious reason that we need food to survive, we both appreciate good food cooked and presented really well because in a busy frenetic world, sitting down to eat a meal is very often the only time in the day that folk actually stop what they are doing, sit down, relax and catch up with each other. We are passionate believers in the 'slow food' movement and we believe that this is the best way to eat - using locally sourced and home grown produce, organic wherever possible, seasonally produced and as fresh as the daisies on our lawns. 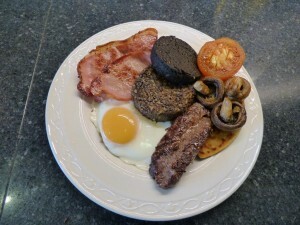 Breakfast (the main meal of the day and some may argue the most important meal; after all you are 'breaking your fast') is a relaxed and leisurely affair at Seaview bed and breakfast served in the breakfast room with glorious panoramic views over looking the aquamarine blue waters of the Sound of Iona. 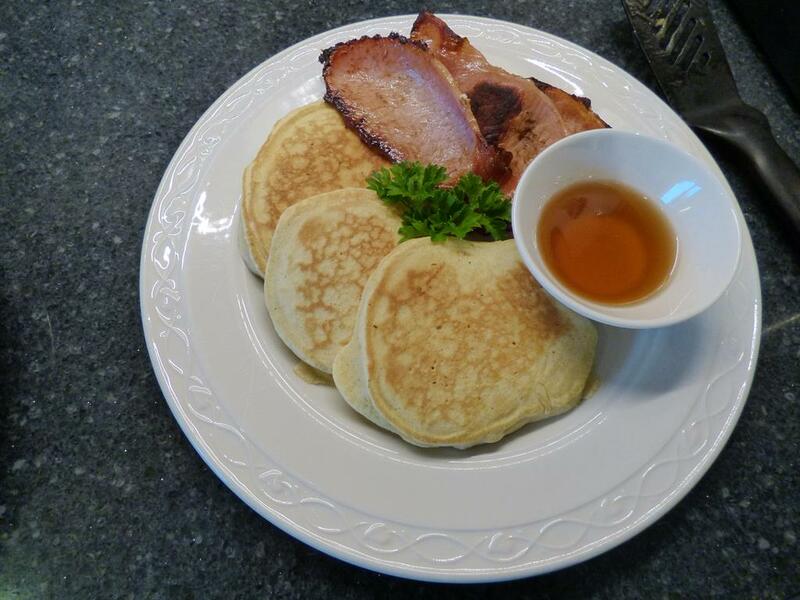 Your breakfast is cooked fresh to order.We don't expect you to order your breakfast the night before, John offering you genuine Scottish hospitality alongside lovely homemade scotch pancakes and naughty whisky marmalade. Our breakfasts are famous around the world because we offer a wide and varied selection of foods that cater for most folk including vegans and vegetarians. As well as our famous Fingal's Breakfast for those with a hearty appetite (designed to set you up for the day), we offer lighter alternatives as well as seasonal specials and we use fresh ingredients sourced locally. There is a good choice for vegetarians and vegans. In that vein, we have created " Big Veggie Breakfast " allowing the vegetarian with a good appetite to compete with the hearty meat eater!! Mega mix Fresh fruit salad is served at the height of the season! Almond and soya milk, peanut butter, chocolate spread, gluten free wholemeal bread and granola and nut mixes are available for special diets, vegetarians and vegans. 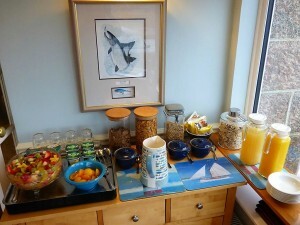 If you like fish there are tasty "Loch Fyne" traditional west coast delicately oak, smoked "kippers" (smoked herring). Also we have local oak smoked trout available on some dishes. Furthermore Bogilee and Maolbhuidhe fresh croft eggs served are free range purchased from crofting friends three fields from Fionnphort! 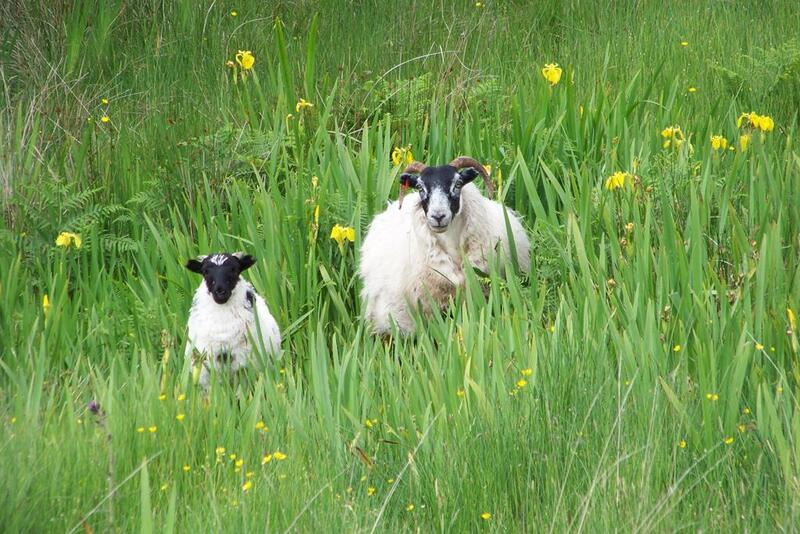 Also organic pork sausages and organic lamb is supplied by our crofting neighbours! We don't force feed you and we don't waste food. 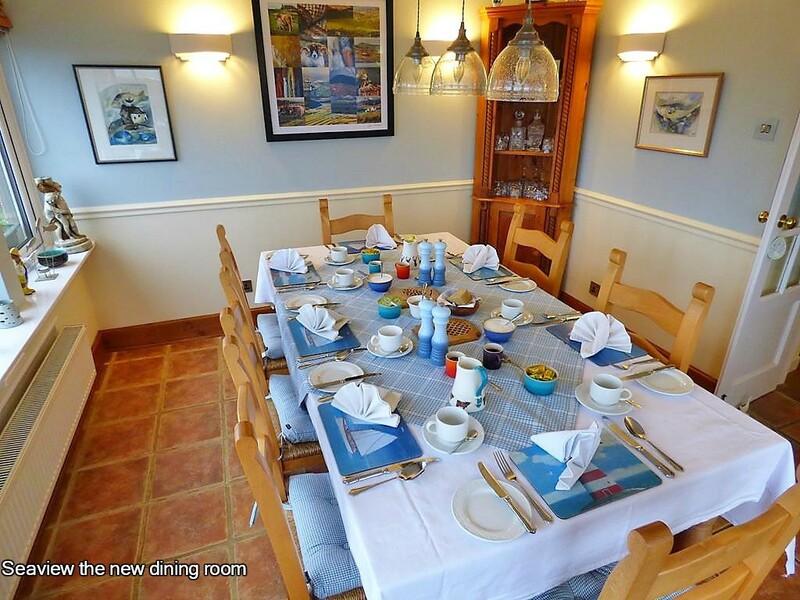 Guests who stayed with us recently claimed the only difference between the quality and tastiness of our breakfast choices Seaview B and B- full a la carte seasonal menu cooked to order breakfast and that served in the illustrious home of a well known Clan Chief on the Isle of Skye was the price! Well I reckon that was a compliment if I ever heard one. 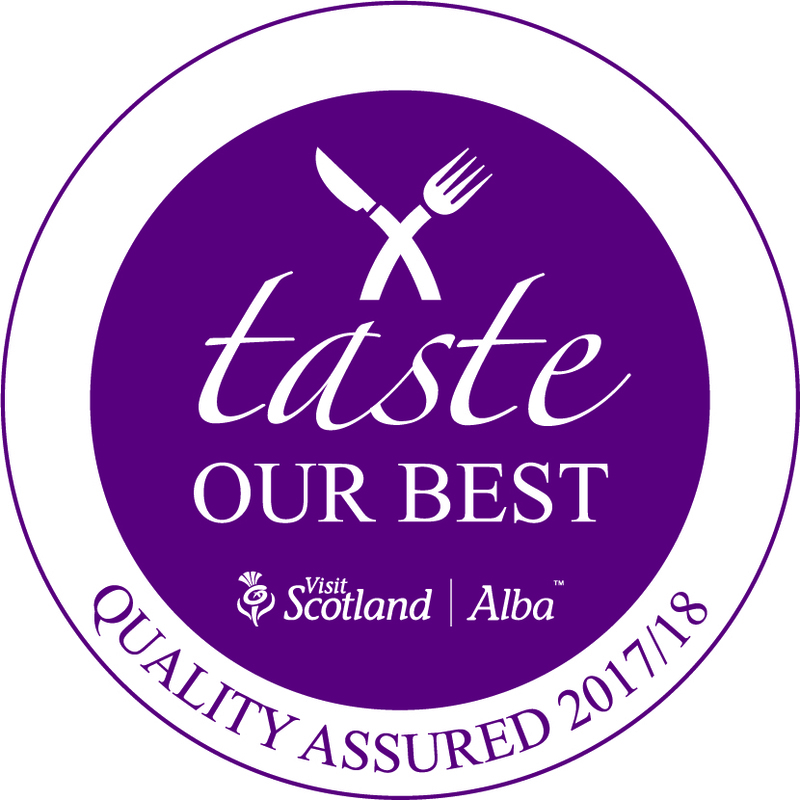 Our butcher meat is of the finest quality supplied by Mearns T McCaskie, traditional, award winning,west coast, quality, Master Butcher. His meat is personally sourced from his specially selected farmers,who provide the finest outdoor, grass fed, Scottish meat. 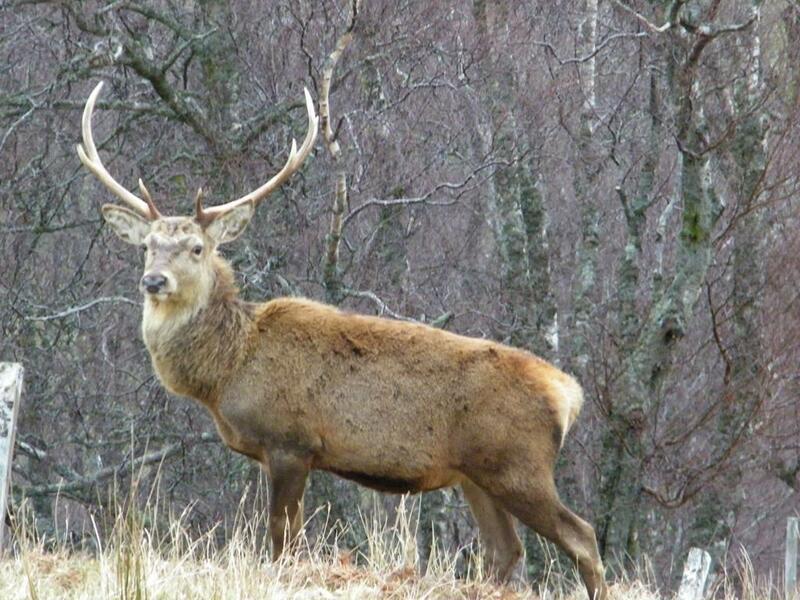 Reared with passion, matured to perfection, and prepared with pride. 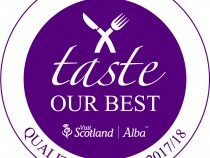 Scottish Haggis Champion 2017,West of Scotland Pork Sausage Champion 2018,West of Scotland Black Pudding Champion 2018. We are supplied superb, pork and venison sausages, haggis, black pudding and sandwich meats. Finally sample Mr McCaskie's super hand cured bacon. smoked or unsmoked if you please! eating out Evening meal options read more here! 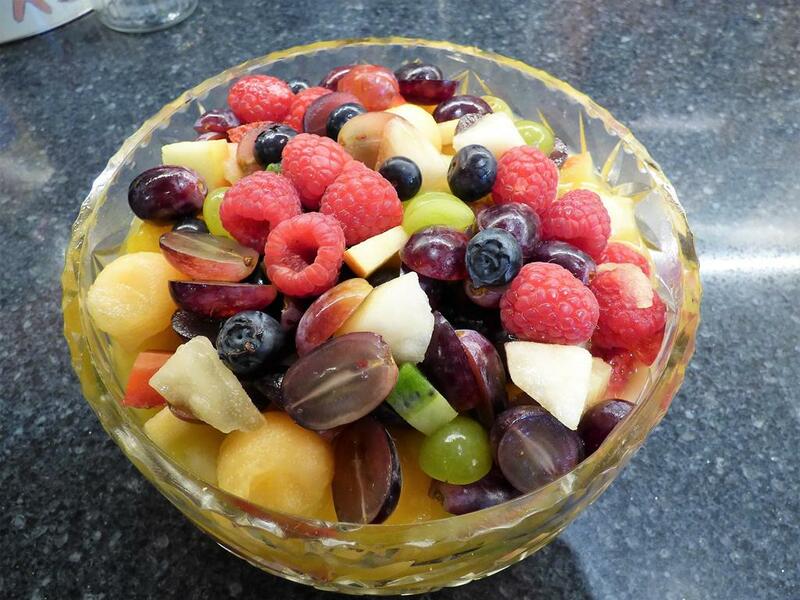 Our menu has been developed over many years to cater for most guests tastes and dietary requirements. Above all our slow food is cooked fresh to order. Although we don't offer full board in the truest sense of the word, we wouldn't want you to go hungry during the day especially if you are out and about traipsing round our wonderful landscapes working up an appetite. 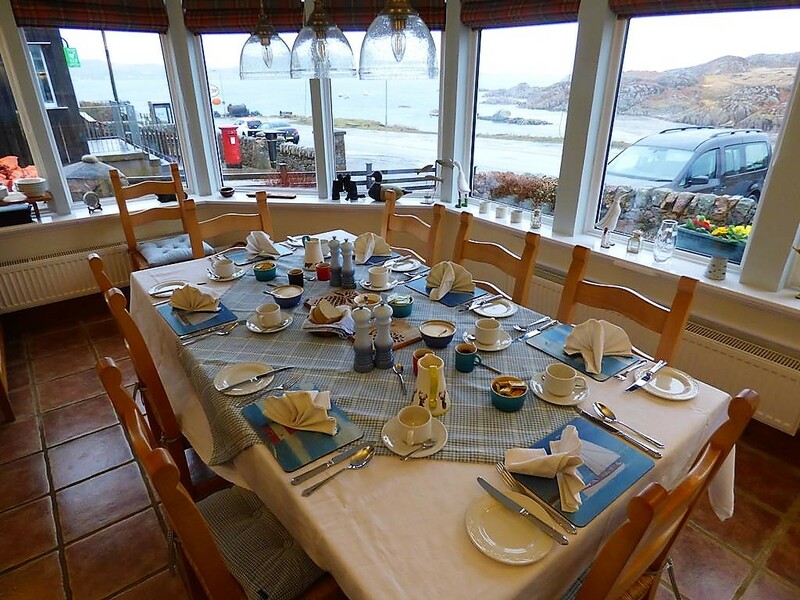 We can pack you up with your own mouth-watering picnic lunch so you can have an 'al fresco' affair on the beach, in the glens, up a mountain or just sat in the front garden watching the world go by - or even watching the dolphins performing ballet dances up and down the Iona Sound. As an island we are fortunately blessed with the lack of 'fast food' outlets and high street shops and supermarkets. This means we have to rely quite a lot on the locally produced food, seasonally grown fresh produce and a hefty dose of creativity and self-reliance and good old fashioned slow home cooking. We are proud to serve our fresh, local food to our lovely discerning guests!